When I first moved from New Jersey to New Hampshire in 1980, I’m embarrassed to admit how little I knew about real maple syrup. I didn’t know that it took 40 gallons of sap, boiled down, to make a gallon of syrup. Or that Native Americans were tapping trees and making syrup well before colonists arrived. I was unaware that freezing nights followed by warming days was nature’s way of coaxing the sap from deep within the maple tree, a brief annual cycle that limits the production of syrup, by dedicated sugarmakers, to a busy few weeks in the late winter and early spring. What I lacked in expertise, however, I made up for in ardor after my arrival in New England: pure maple syrup quickly became my go-to sweetener for everything from sticky buns, to bread pudding, and homemade applesauce. I learned to use it, judiciously, in winter squash and curried pumpkin soups. And I discovered a Yankee trick for making slow cooker sweet-and-sour meatballs with maple and chili sauce. Brussels sprouts favored a light hand with the maple and a garnish of bacon. And glorious things happened to ham sandwiches and roasted meats slathered with maple- flavored Dijon mustard seasoned with basil. All that, I discovered, and a whole lot more. 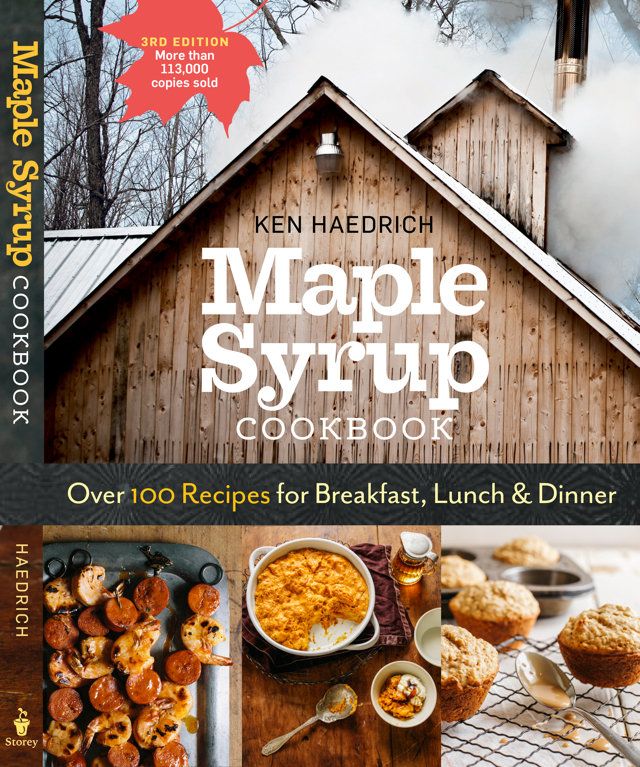 Enough, in fact, to fill an entire book with more than one hundred of my favorite maple syrup recipes. I self-published Maple Syrup Cookbook in the 1980’s, eventually turning to a publisher whose books I admired, Storey Books, to secure a more certain future for my work. Thanks to them, and several gorgeous makeovers over the years, the book continues to sell nicely more than thirty years after it was first released. 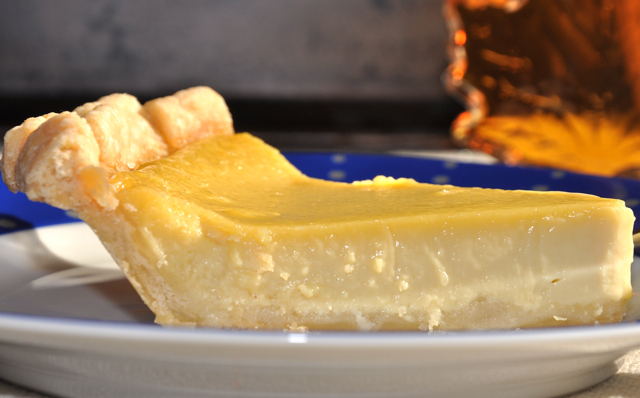 Which brings us to the subject at hand: Maple Custard Pie. 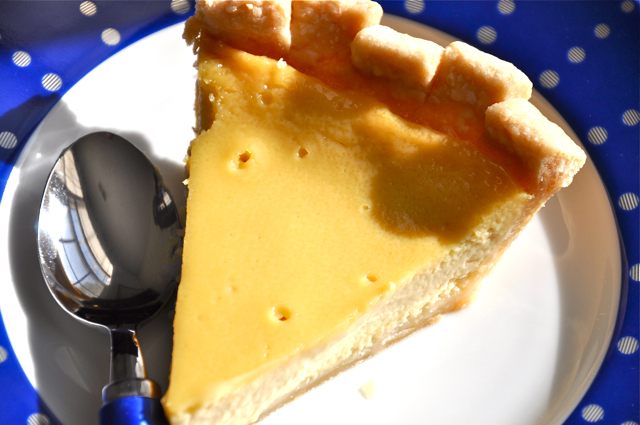 There are few things in life more comforting than a good rich custard, especially one baked in a crust. 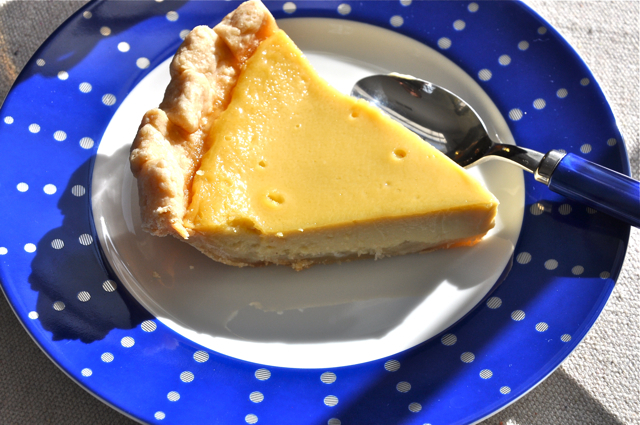 Cool and sweet, soft and creamy, custard is like velvet on the tongue. The fact that it’s so rich, an indulgence many of us allow ourselves only a few times a year, makes it all the more special. 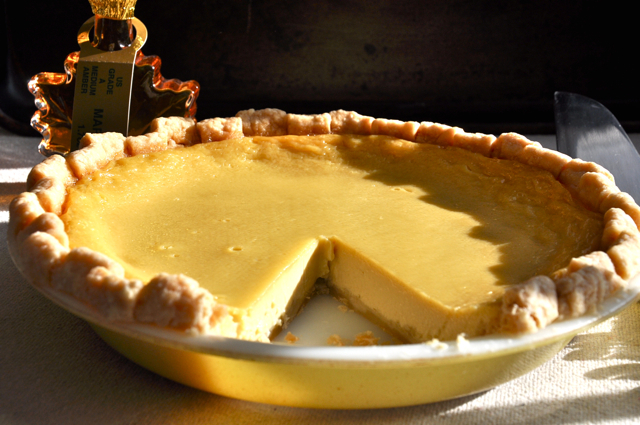 This pie is a testament to the way real maple can elevate a simple dish to the sublime. It dates back to those New Hampshire days, when I could afford to eat custard and custard pie with impunity. The calories didn’t stick back then; a regular regimen of chopping wood, shoveling snow, and herding four kids saw to that. Tell yourself anything, but just be sure to give this one a try. You’ll be glad you did. To celebrate maple syrup season, we’re bringing back our Buck-a-Book special. Here’s how it works. Browse the selection of books in our online store, decide which ones you’d like, then send us an email and let us know. Don’t order them directly from the store; send us that email instead. Include your shipping address in your email. We’ll then email you a PayPal invoice for the books, plus a dollar shipping for each one. It’s that easy. Your books will be sent to you by media mail, which typically takes just a couple of days longer than regular mail. If you want your books signed for someone in particular, let us know. This offer expires Sunday, March 19th, and it’s only good for books shipped in the lower 48 states. Take advantage of this offer while you can, and thanks for your support. PASTRY NOTES: Use any of your favorite pie dough recipes for this pie. Please click on the Table of Contents tab above to find links to all the pie dough recipes at The Pie Academy. On a sheet of lightly floured wax paper, roll the dough into a 12- to 12 1/2-inch circle. Invert the pastry over a 9- or 9 1/2-inch standard (not deep-dish) pie pan, center it, then peel off the paper. Gently tuck the pastry into the pan without stretching it. Sculpt the overhanging dough into an upstanding ridge and flute, if desired. Prick the bottom of the pie shell 6 or 7 times with a fork. Refrigerate for at least 30 minutes or place in the freezer for 15 minutes. Set the oven temperature to 325°. Combine the heavy cream, light cream, maple syrup, and sugar in a medium size saucepan. Heat the mixture, stirring over medium heat, until hot and the sugar has dissolved; do not boil. Stir in the vanilla and salt. Remove from the heat and set aside for 10 minutes. Using a wooden spoon, stir the egg yolks in a medium mixing bowl. Gradually stir in the warm cream mixture, a ladle full at a time; doing so gradually will temper the yolks so they don't curdle. Place a fine mesh strainer over a large bowl and pour in the filling, to strain. Carefully pour the strained filling into the prebaked pie shell. Place the pie on the center oven rack and bake for approximately 50 to 70 minutes. When the pie is done the edge of the filling will likely have puffed slightly. Most importantly, give the pie a gentle nudge: the filling should wobble, and show no signs of soupiness in the middle. When it reaches this point, turn off the oven, open the oven door partially, and let the pie settle in the oven for about 15 minutes. Transfer the pie to a cooling rack and cool completely. Refrigerate for at least 4 hours before serving. The pie releases a fair amount of moisture even after it has cooled, so I don't like to cover it at first. If you do notice any puddling on the surface after the pie chills, gently blot it up with a paper towel. Makes 8 to 10 servings.